Vietnam Street Food Tour with Back of the Bike Tours in Ho Chi Minh City is the only way to experience a Vietnam Food Tour. Back of the Bike Tours Vietnam Food Tour has been sataiting the hunger of food tour travellers in Vietnam looking for a Vietnam Street Food Tour for over 7 years and counting. Our Vietnam Food Tour has been a top ranked tour in Ho Chi Minh City ever since our first few months of hitting the streets with travellers and tourists looking for the best hidden delicacies that vietnam street food and vietnam street food tours have to offer.We wanted to take this time on our Vietnam Street Food Tour page here to promote our famous Vietnam Street Food Tour but also provide some information that food tour travellers might commonly ask. Please feel free to check out our little Vietnam Street Food Tour Q&A at the top of the page, and also details for booking our Vietnam Street Food Tour below. Why book a Vietnam Street Food Tour when booking Vietnam Tours for your larger tour to Vietnam? How does a Vietnam Street Food Tour compare to food tours around the world? Your Vietnam Street Food Tour in Saigon is also a vietnam tour on motorbike, does this take away from the vietnam street food tour experience? Is a Vietnam Street Food Tour a good tour activity for Children who do not like to eat Vietnamse Street Food? Should a Vietnam Street Food Tour be very cheap since Vietnamese Street Food is known for being inexpensive? 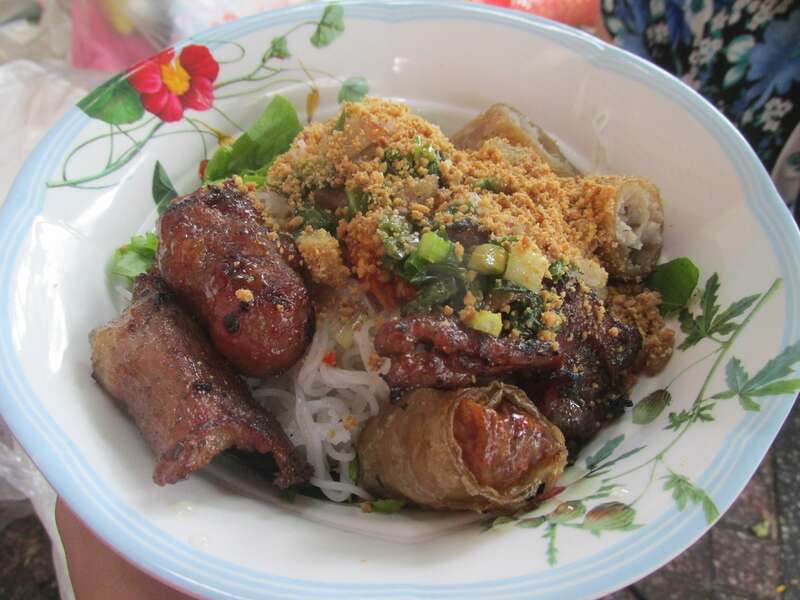 What Vietnam Street Food Tour is our favorite at Back of the Bike Tours? What kind of street food is on a Vietnam Street Food Tour? Why book a Vietnam Street Food Tour when you book a vacation to Vietnam? Vietnam Street Food become famous over the last 10 years. A large reason for this is because of the number of immigrants after the war who spread across the world looking for a new home. They brought the flavors of Vietnam street food and introduced it to places who had little experience with vietnamese street food. Once the flavors of vietnamese street food got into the mouths of foodies, it was only natural that people would begin noticing Vietnam as a place to visit to experience food tours that showcase Vietnamese Street Food. 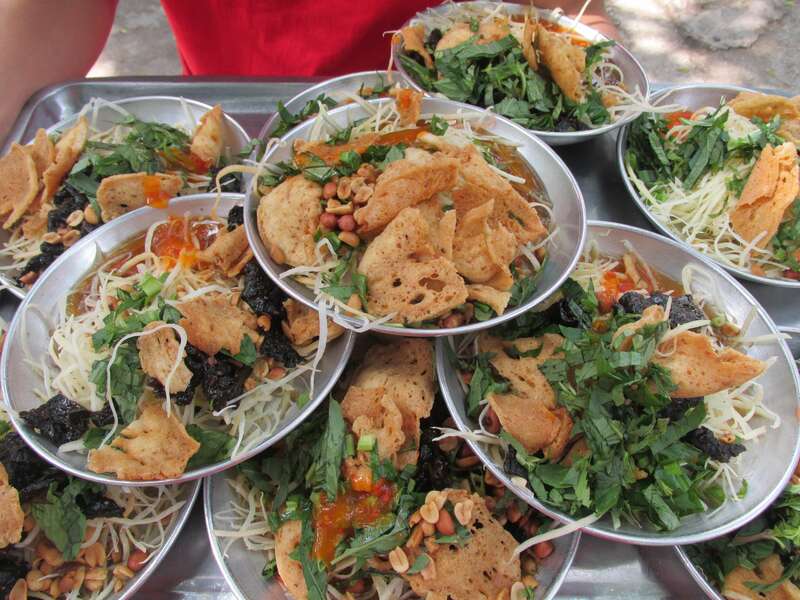 We are saying that a Vietnam Tour is not complete without a Vietnam Street Food Tour. Don't hesitate and book Back of the Bike Tours very own Vietnam Street Food Tour, more information can be found below. Compare your Vietnam Street Food Tour to other food tours around the world? As Vietnam Street Food Tour professionals, I think the big difference between our Vietnam Street Food Tour and food tours around the world is that most Vietnam Tour companies use motorbikes for their tours. When it comes to comparing the food on our Vietnam Street Food Tour to other tours around the world, I think the variety of Vietnamese food might challenge alot of other countries whose food might not show as much flavor diversity. Will I miss out experiencing out on the culture if I book a Vietnam Street Food Tour instead of a vietnam tour with sightseeing? We would say the complete opposite actually. At Back of the Bike Tours we firmly believe that our Vietnam Street Food Tour is one of the best ways to experience Vietnamese culture. Is Vietnam street food the same all over? So a food tour in one city is the same as another? We have to strongly disagree and encourage foodie travellers to take at least one Vietnam Street Food Tour offered to them with reputable tour companies in each city. Vietnam is a very long country, which has extremely different flavor profiles from one end to the other. Will a Vietnam Street Food Tour on Motorbike be more of a distraction compared to a normal walking vietnam street food tour? No, being on the motorbike enhances the experience in our opinion because of 2 different reasons. The first reason it enhances the vietnam street food tour experience is because we are able to cover longer distances to eat food that is very local, unique, and delicious. The second reason is that it adds another layer of culture to your vietnam street food tour, because you will be travelling exactly the way local vietnamse do when they want to hang out with friends and family to eat street food. Do children enjoy a Vietnam Street Food Tour? Just like grown ups, every child is different. I can say with 7 years of experience behind us, we think that children actually aren't as interested in eating vietnamese street food as they are in riding on the motorbikes with our local Vietnamese guides. Kids just love that part of zipping around town. What is the cost of a Vietnam Street Food Tour? Shouldn't they be very inexpensive? Vietnamse Street Food can be very cheap, yes. That doesn't mean we want to create a Vietnam Street Food Tour that only focuses on inexpensive food but rather on delicious food. At the end of the day as a Vietnam Street Food Tour company, most of our expenses in running our company go to labor since our tour is a 1-1 ratio of Vietnam Tour Guide to Vietnam Street Food Tour Patron. 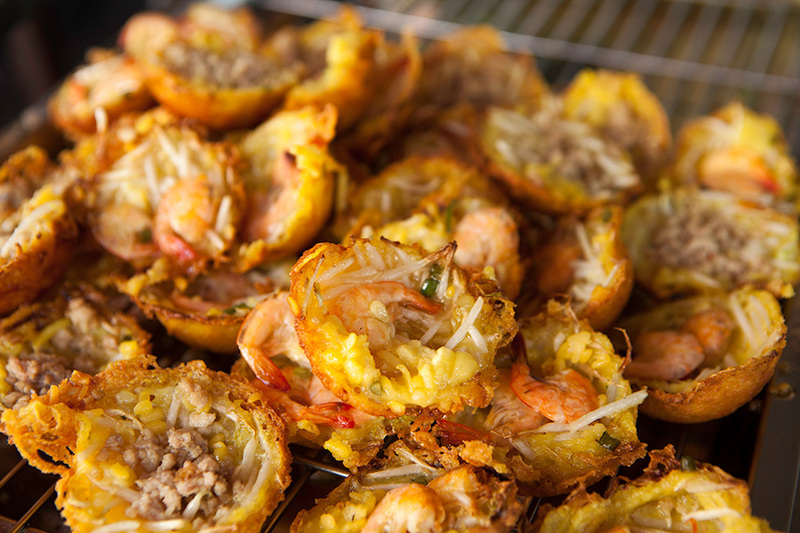 What is our favorite Vietnam Street Food Tour? Our own of course! 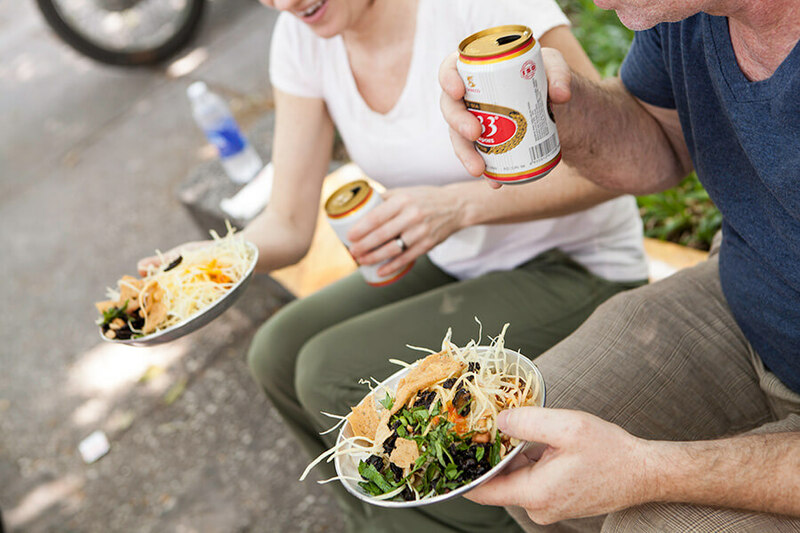 Out of our tour options, the Private Vietnam Street Food Tour called the Chef Tour is my favorite option at Back of the Bike Tours. I personally led this tour for over 4 years and it is my favorite way to imtimately explore vietnamese street food on a tour. What kind of vietnamse street food will we be tasting on a Vietnamse Street Food Tour? 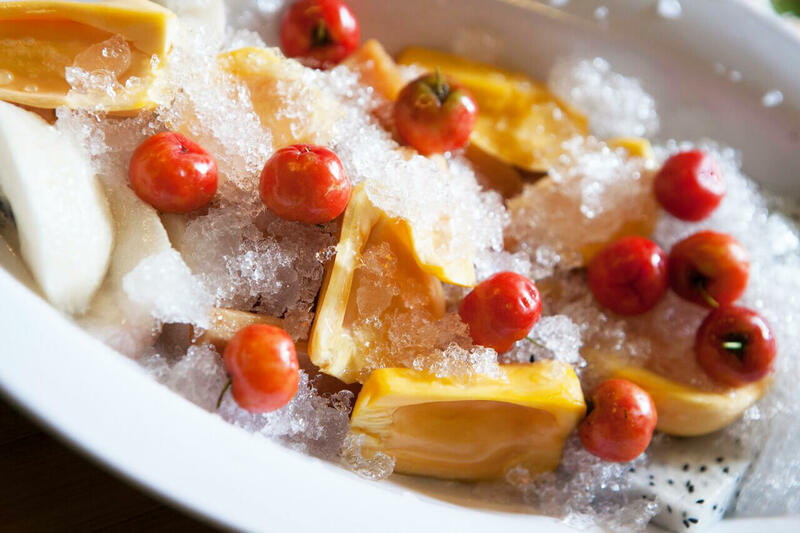 Fresh and Light, This Papaya Salad is unlike any you have had before anywhere in the world! Seafood ! Seafood! Seafood! We will show you why everyone talks about Vietnamese Seafood being so delicious! Big Eats & Small Seats will be all about the local real deal local vendors of Ho Chi Minh City. An Absolute Classic Dish in HCMC! Our vendor serves one of the best dishes in an old school street atmosphere you have to experience! Banh Khot is a dish we serve on our afternoon food tours, this dish is creamy and crunchy! 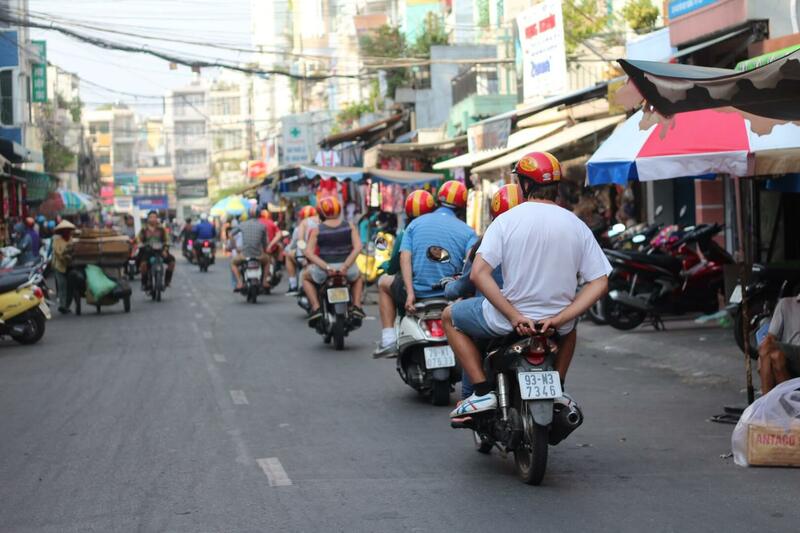 When you are in HCMC, you want to see the city on the back of the motorbike. We are the best option in town to see the real Ho Chi Minh City on the Back of the Bike. Taste Local Fruits at our Dessert Location! Some of these fruits are hard to find and brand new for most customers! A Great Vietnam Street Food Tour Experience! Explore the big flavors of Ho Chi Minh City on small plastic stools with our Big Eats & Small Seats Tour. Experience the tastes of our favorite street food vendors in HCM not the same flavors as in all the guidebooks. You will zip to these delicious hidden gems on the back of a motorbike driven by our English speaking guides. 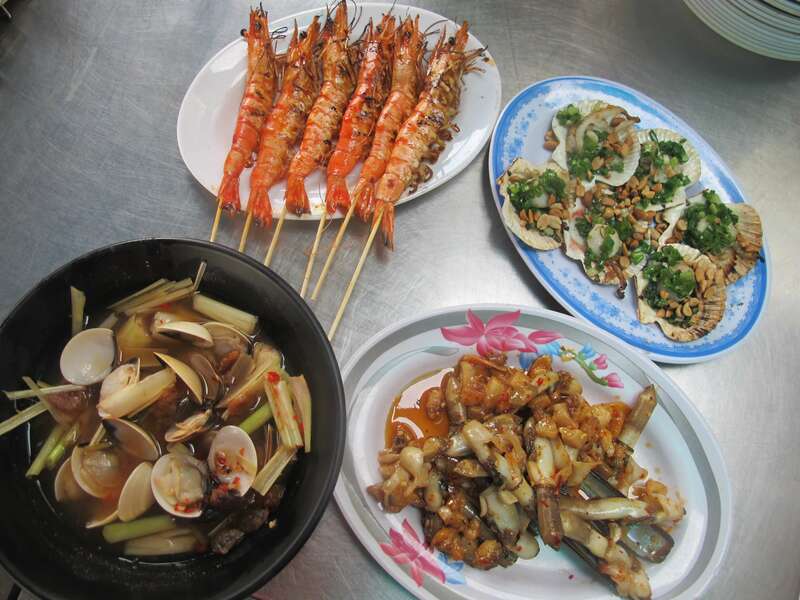 This street food tour includes dishes like City Famous Papaya Salad, Steamed Clams with Lemongrass, and Grilled Pork over Fresh Rice Noodles all eaten on those traditional small plastic stools. Hop on the back of our bikes to experience our Big Eats & Small Seats Tour. All of our guides are local Vietnamese who know the city like no one else and are enthusiastic to show off Vietnam. Our guides will pick you up and drop you off for all tours. All prices are inclusive of all stops, food, and drinks. "Big Eats & Small Seats Street Food Tour" does not overlap our "A Taste of Vietnam Food Tour"
We can accommodate most allergies including Vegetarians and Gluten Allergies. 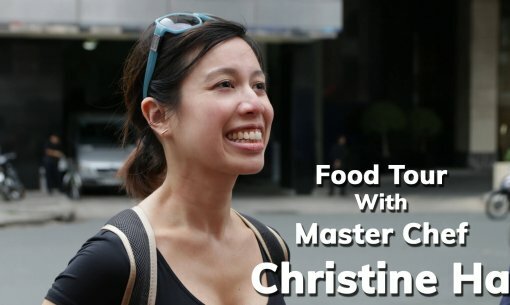 Winner of FOX’s ‘Master Chef’, Christine Ha, took our food tour in Ho Chi Minh City. This is what she had to say about her experience. We did 2 tours in Saigon, the half day city tour and the evening food tour. These were the best tours I have ever taken. The food tour was anamazing experience, riding thru the streets of Saigon at night, visiting different restaurants and street vendors. What makes these tours so special is the delightful guides/riders who shared their knowledge and happily chatted about their lives and enquired about ours. Would do this again in a heartbeat. The Saigon city tour was a total joy – as a last minute quick getaway without the time to research and plan, we wanted to maximise our knowledge of the city in a short time so we could do it some justice and were not disappointed. The staff were knowledgeable, safe drivers, and not to mention hilarious! Would recommend to anyone early in their trip – even previous non-tour-goers like us. We had so much fun on this tour, prepare yourself to eat a lot, I recommend not to eat like a half day before, we had 5 stops and all of them were fabulous. Guides were great and the whole tour was super-smooth, no rush and no waiting to be served but still, we spent nearly 4,5 hours on the tour. All I can say: excellent. A group of 6 of us booked into the street food tour from 6pm to 10pm. 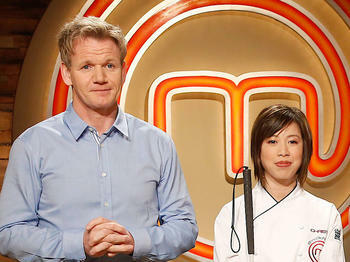 We had an amazing time and each of us thoroughly enjoyed the experience – most rating it the best they have done in HCMC. The guides are very knowledgeable and love to tell you all that they know about their city. Be warned there is a HUGE amount of food to get through so try to pace yourself. After my night street food tour with Back of the Bike Tours, I’m so glad I decided to book a food tour with them! The best service I’ve had on a group tour in Vietnam – each person was allocated a dedicated guide the whole night, not only to safely transport you to each food location but also to go through the different dishes, how to eat them, the background story behind them, the culture/history of Saigon and just great company. Special shout out to my guide Tính who was fantastic and looked after me the whole time! If you are a solo traveller – don’t hesitate to join. Great way to see the city on the back of a motorbike, its super safe and the Back of the Bike tours have the selected all mouthwatering food choices. We had spent one day in Ho Chi Minh City when a friend told us that we had to do a tour with Back of the Bike Tours as it had been the highlight of her recent trip to Vietnam with her daughter. We only had one evening free so decided to try our luck and were thrilled to be able to easily organise a food tour for dinner that night. The tour guides were friendly and informative and the food was amazing – we definitely needed the guides as you haven’t really experienced Vietnamese food until you have eaten it the way the locals do (we had no idea how you were meant to wrap, mix, etc to get the best flavour combinations). While we were a little nervous about travelling on the bikes (traffic in Vietnam is insane and most travel insurance doesn’t cover you on a motorbike) the guides were cautious and safe riders and if anything we felt safer than trying to cross the roads on foot – the back of a motorbike is definitely the best way to experience HCMC. An amazing tour of Saigon street food vendors by scooter! I have to say that this is one of the best tours I have ever done! It was organized really well. Each person on the tour has their own driver, the driver is full of first-hand information and happy to talk freely about modern life in Ho Chi Minh. You get whizzed around through the chaotic traffic to areas in Ho Chi Minh City that aren’t on the tourist trail, so you can experience the very best authentic street food vendors there are. I will do this tour every time I come to Ho Chi minh and recommend it to all types of traveler, if you like experiencing local food and learning about cultures and ways of life then this tour cannot be beaten! I recently completed a night food tour with back of the bike tours.There was so much I could say about it (all wonderfully good),but it was a great experience and a it was a great gastronomical experience,Pick up and drop off from my hotel in district 1,we ate 5 different places,all with beautiful tasty foods,a word of advice best not to eat everything at every place you go to,otherwise you may not fit in 4th course or desserts.I ate the chicken embryo?apparently only 5% of customers will eat this,but I thought that it was quite good,I can remember eating,a spicy dish first up,then quail in a bread roll,banh mi style,a crab and seafood soup(like a laksa)then a Vietnamese pancake filled with pork and vegetables,last but not least was the desserts,we were given three wonderful treats ,that were just sublime,my rider/guide for the night was wonderful,she spoke great English and she was very informative and certainly knows her way around Saigon (apologies I forgot your name).I certainly recommend this trip/tour to anyone who loves food. Was absolutely fantastic 10/10. guides were great, very friendly and informative and chatted away easily. Felt very safe on bike – actually safer riding around than trying to cross the road earlier in day! Heaps of food, all very nice and overall would highly recommend. Second course was served in the park – company took photos which they emailed following day – also had solo driver that ensured safe for all bikes and passengers at major traffic intersections to cross. Highlight of our 4 days in Saigon. A wonderful experience, we had a large group with varying ages and our tour guides related to all.Vietnam Street Food Tour was great, traffic hectic but fun and guides English excellent. A highlight for our family visit to Vietnam.